If you have apprehensions when going to the dentist, imagine for a second, coming into our office, laying back in a comfortable chair for your appointment, feeling at ease and later leaving feeling calm and relaxed with all your dental work completed. We understand that a trip to the dentist may cause anxiety for some people. If you have ever felt nervous about going to the dentist, you may want to give NOVO Dental Centre a try. We have created a relaxing environment where all of our clients can be comfortable while our carefully trained team attend to your personal needs and concerns. 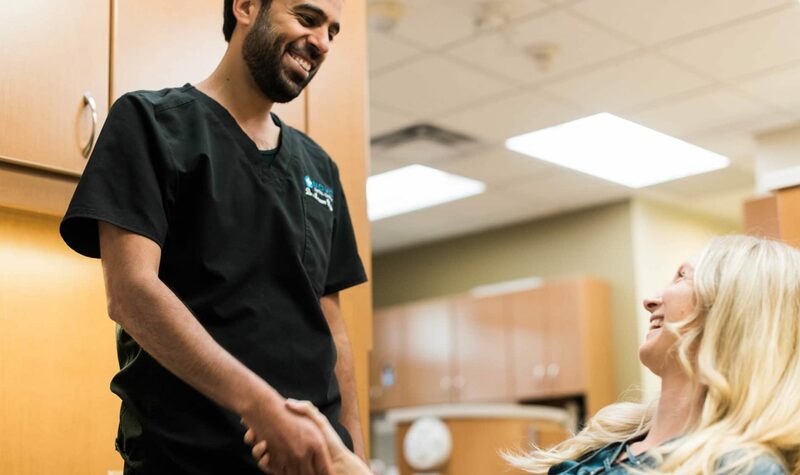 Our compassionate dentists have a very gentle touch, and many of our clients find that having us talk to them through the visit makes each visit less frightening. If you have further hesitations when it comes to dentistry, we also offer Oral Sedation to help you to relax fully. We are very sensitive towards clients with dental anxiety. To help you relax, we offer oral sedation dentistry which is a form of conscious sedation that comes in a pill form and is administered before a dental procedure to help you relax before, during and after your treatment. What are the benefits of oral sedation? There are many benefits to oral sedation dentistry. Under conscious sedation, you are not actually asleep during treatment but sedated enough to make sure you are extremely calm and relaxed throughout your entire treatment. By the next day, most clients remember little-to-nothing of the time they spent in the dental chair. These are only a few of the reasons why you might benefit from the use of sedation dentistry. Regardless of the type of treatment, you are receiving, oral sedation can be used for any treatment including general cleaning, root canals, tooth extractions, dental implantation, and more. It is important to talk to us about your fears and concerns during your consultation or examination appointment before any dentistry is performed, to know if oral sedation is the right choice for you. We want to make you as comfortable as possible. If you think Oral Sedation Dentistry is something that you could benefit from or if you have any additional questions, please give us a call to schedule your welcoming visit. Be assured that our team at NOVO Dental Centre understands and takes pride in ensuring your visit is as comfortable as possible.